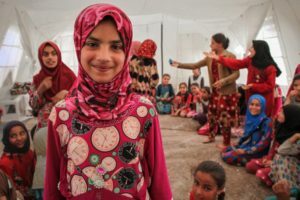 Yasmina is 10 years old and recently fled fighting in Mosul, Iraq. She is now living in Hammam Al Alil Refugee Camp. Content warning – Yasmina’s story includes mention of violence and conflict which may prove distressing.